Sirsa is a city and a municipal council in Sirsa district in the westernmost region of the Indian state of Haryana, bordering Punjab and Rajasthan. 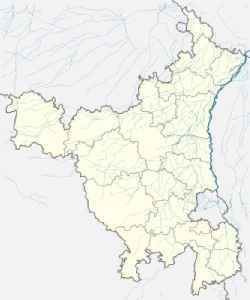 It is located 260 kilometres north-west of New Delhi and 240 kilometres from state capital Chandigarh. Its history dates back to the time of Mahabharata. At one time, the Sarasvati River flowed in this area.